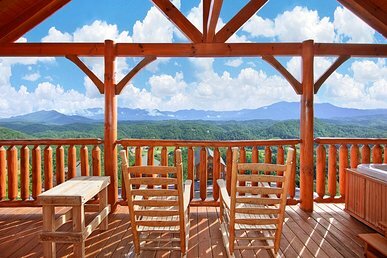 When you stay at Misty Blue, you can gaze out at the Great Smoky Mountains from inside the cabin as well as from on its decks. 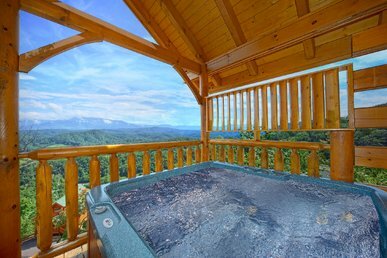 And in addition to the unparalleled views, the 1,400-square-foot home offers numerous luxuries, including an outdoor hot tub, an indoor jetted tub, and a pool table. 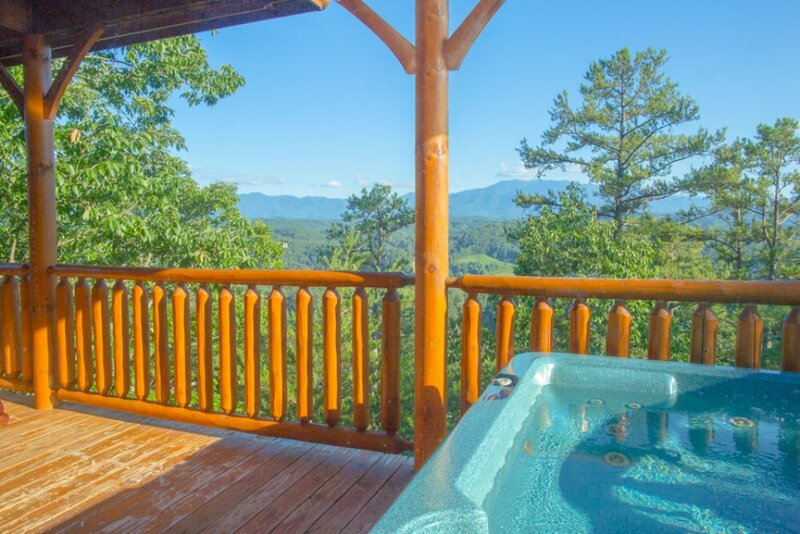 These amenities make Misty Blue as well suited for a romantic getaway as for a family vacation. 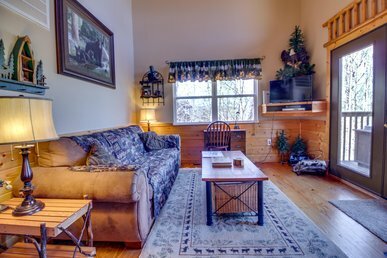 The bedroom, located on the lower level, includes a log-frame king-size bed and a flat-panel TV. 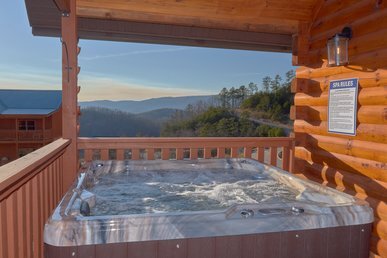 The jetted tub in its private bathroom is ideal for soothing tired muscles after a day of hiking, horseback riding, or skiing—and is also ideal for putting you and that special someone in the mood for romance. 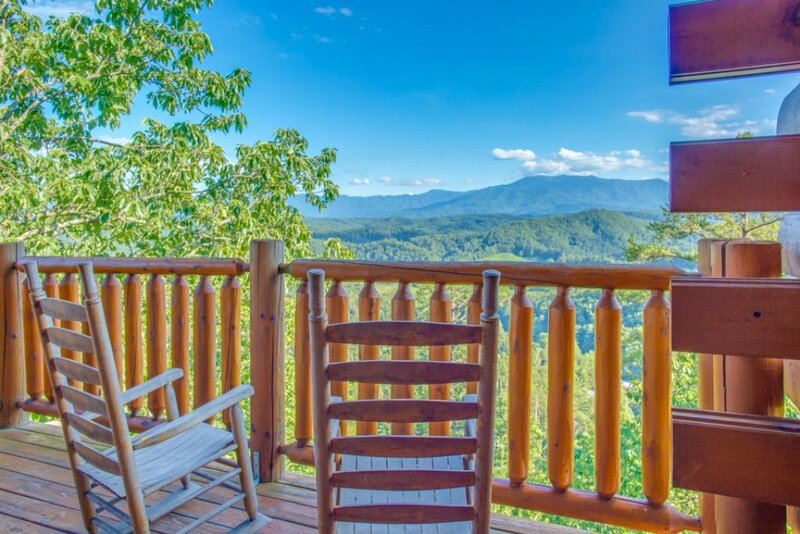 And when you wake up in the morning, you can admire Mount LeConte through the window without even having to leave the comfort of bed. A 2nd full bathroom is on the main floor. This will really come in handy if you brought the kids along; one of the living area’s leather sofas opens into a bed for 2, enabling Misty Blue to sleep 4 people in all. A full bathroom for each sleeping area makes it easy for everyone to get ready in the morning—no lining up to take a shower! 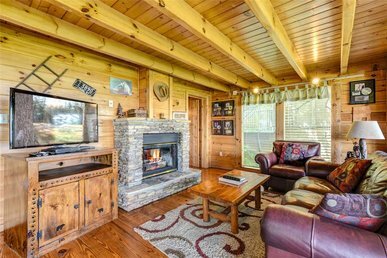 The elegantly furnished living area is part of the great room that makes up the main floor. 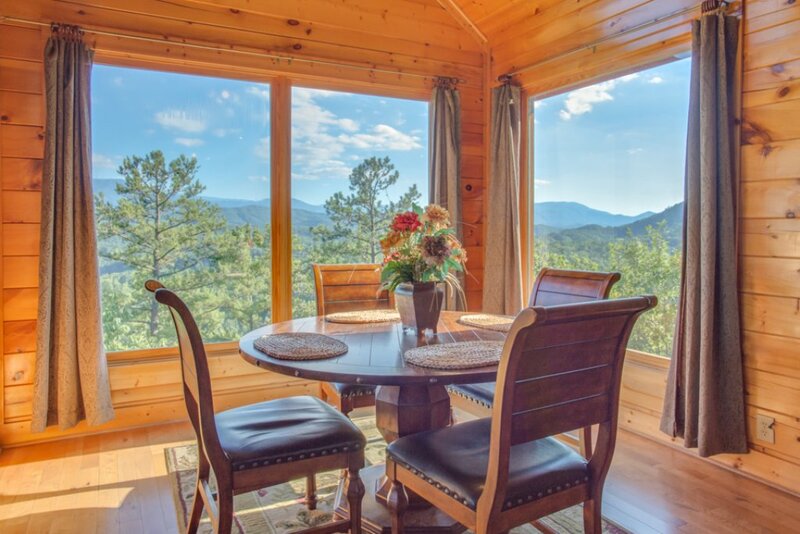 Large windows let you relish the scenery from just about anywhere on the floor. 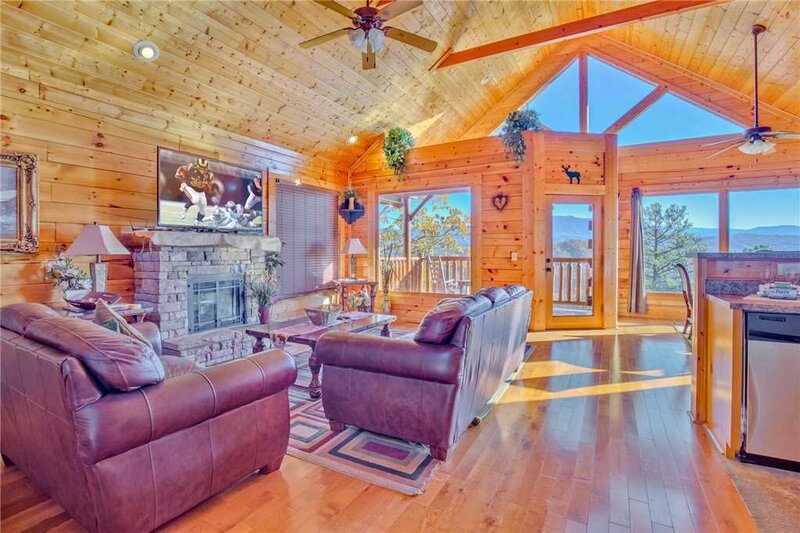 Whether you’re gathering around the stacked-stone fireplace, kicking back on the couches to watch a movie on the flat-panel TV, or even cooking in the kitchen, you can look out and watch falcons and eagles soar over the mountains and across the seemingly endless skies. It’s impossible to tire of the view. 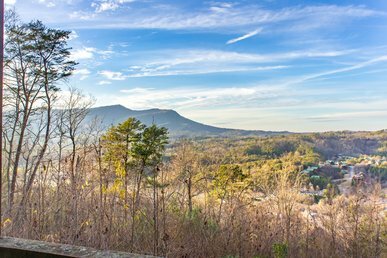 The mountains and woodlands make an especially gorgeous backdrop for the dining table, which seats 4 in chairs so comfortable, you’ll want to linger long after the meal is over. The view alone is reason enough to want to dine in on at least a few occasions, though it also helps that the pristine kitchen is so well equipped. Stainless-steel appliances, gleaming countertops, cookware and tableware galore: Whether you’re hosting a Thanksgiving feast or mixing a batch of Bloody Marys, you’ll find everything you need (except the food, of course!). If you reel in some trout from one of the nearby streams—or pick up some burgers from a nearby store—you can barbecue on the charcoal grill just outside the front door. 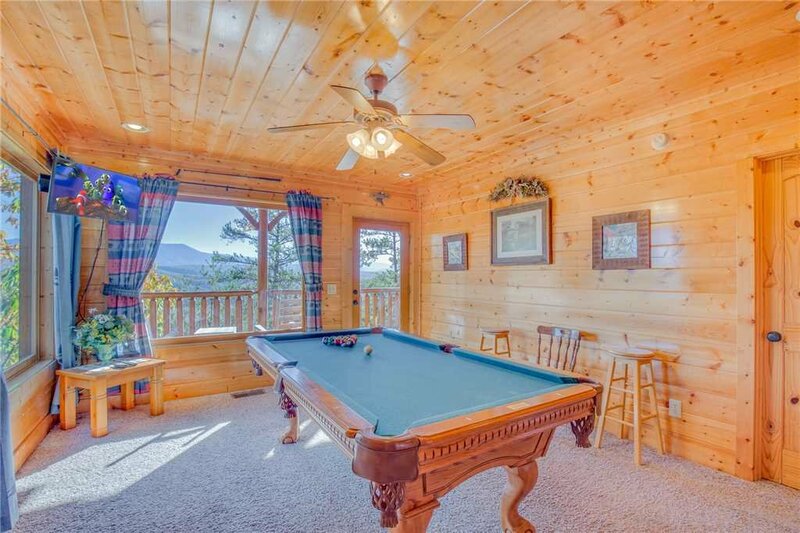 After dinner, head downstairs to the game room to shoot some pool at the full-size billiard table. 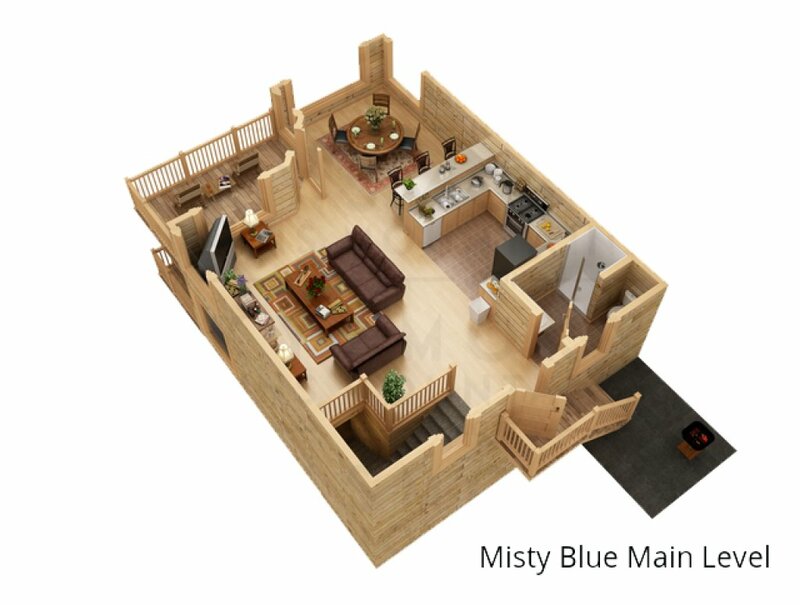 Or maybe you’ll want to head outside onto one of Misty Blue’s 2 decks. 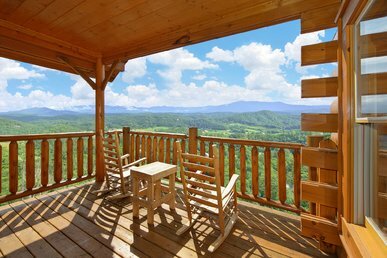 Both the lower and the main-level decks are furnished with log-style rocking chairs, so you can glory in the fresh breeze and the singing of wrens and warblers whenever you want. 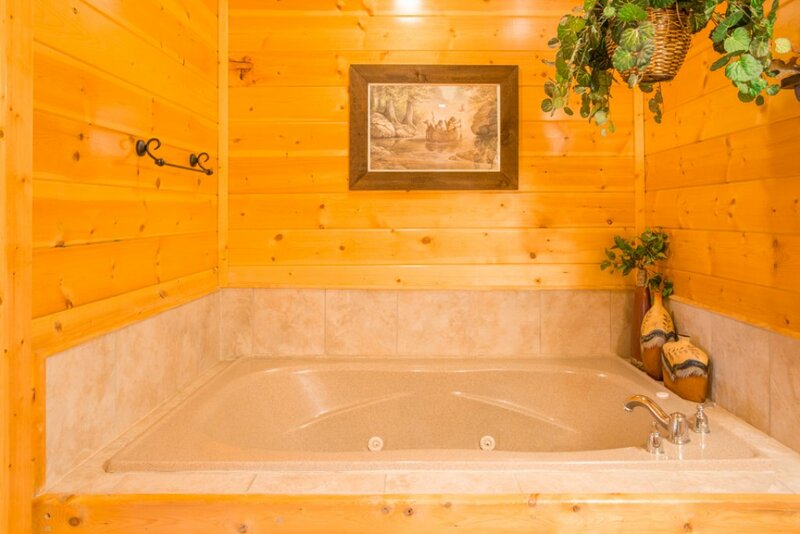 The lower deck has a bonus: a hot tub. Luxuriating among the steamy bubbles as stars twinkle in the night sky and owls hoot in the old-growth woods is an experience you’ll long treasure. 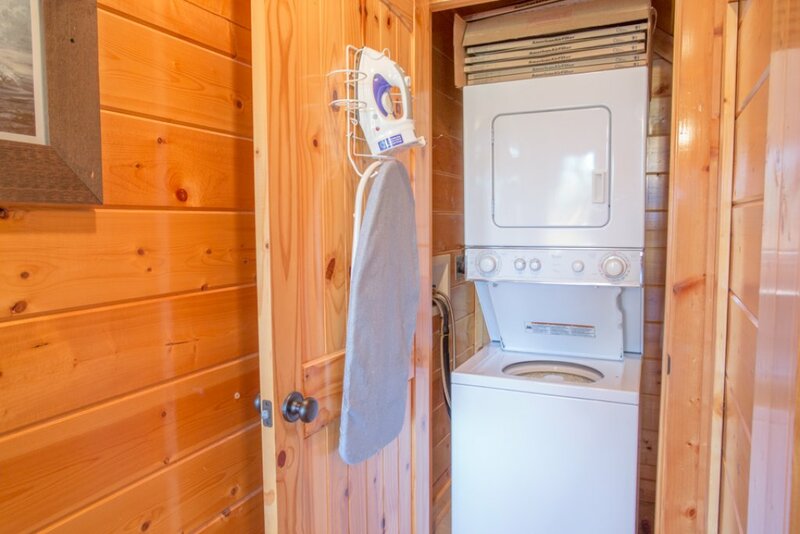 Among Misty Blue’s other amenities are a washer and dryer, free WiFi, and cable TV. The best amenity of all, though, might be its proximity to everything the area has to offer. 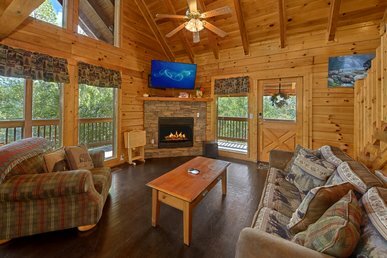 Located within the Legacy Mountain Resort, the cabin feels far from the hubbub and the every day, but it’s only 15 minutes from Dollywood, Parrot Mountain and Gardens, and the Titanic Museum, to name just a few of Pigeon Forge’s most popular attractions. 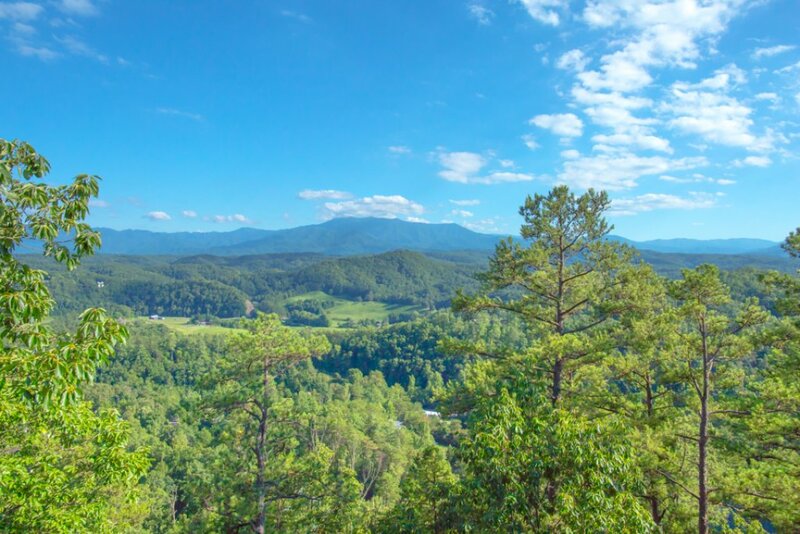 You can also drive to the Great Smoky Mountains National Park, Ober Gatlinburg Amusement Park & Ski Area and downtown Gatlinburg are less than a half-hour. No matter which sites you visit, you’ll love returning to the comfort, beauty, and ease of Misty Blue afterward. Book your stay today… before someone else beats you to it! 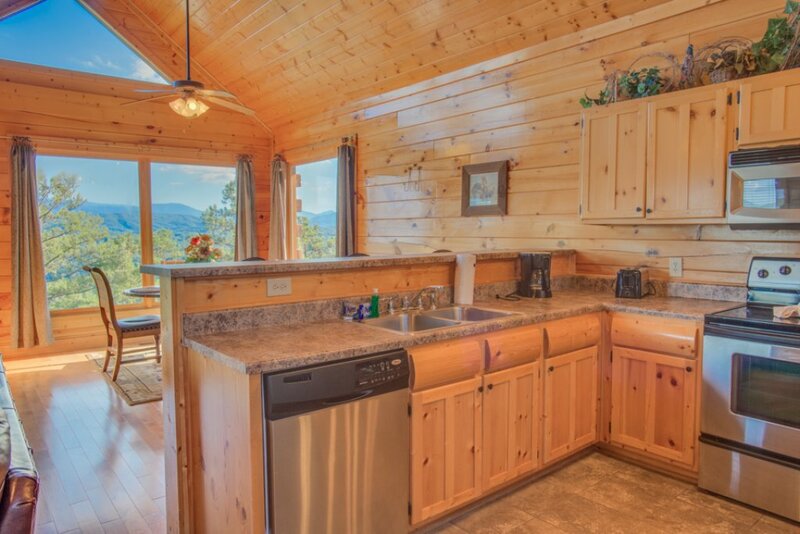 Absolutely beautiful cabin, we had a beautiful time sitting out on the porch and taking in the views. Already planning our next trip! If you're looking for a romantic getaway this is for you. We appreciate you choosing Misty Blue for your recent vacation! Thank you for the positive comments and five-star rating. Come back soon! 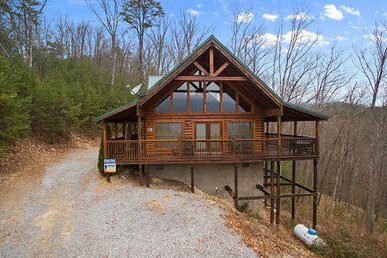 One of the best cabins we have stayed in while visiting the Smokies!! Fantastic view from main floor and bedroom floor. Easy accessible and even though you have cabins around you it was very peaceful and did not obstruct the view. 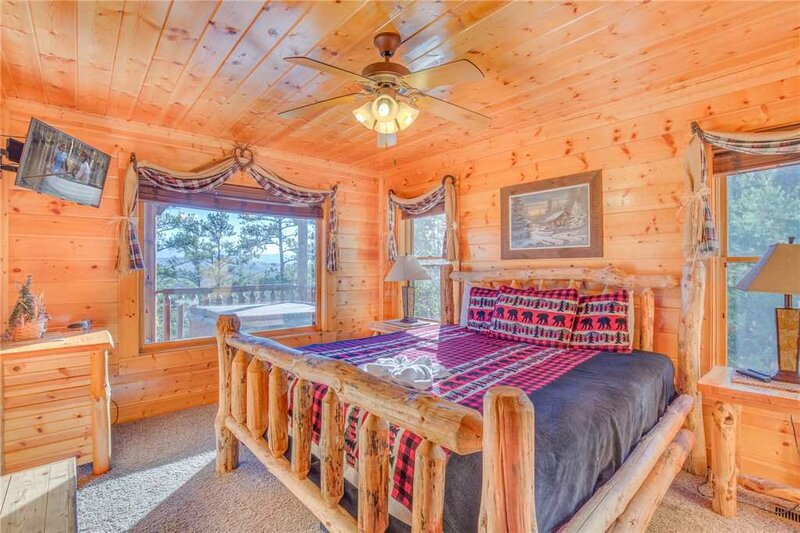 We have already recommended this cabin to a family member. Thanks for the five-star review and positive comments! We are happy to hear that you enjoyed your stay and are recommending us to others. :) You will be happy to know that we upgraded all of the TVs with flat-screen LEDs at this property today. Come back soon! From the time we walked in the door til the day we left, everything was amazing! The views were absolutely stunning! The cabin was beautiful and everything we imagined it would be! Can't wait to come back next year! Thanks for the five-star review of Misty Blue! We enjoyed hosting you and your group and hope to have you back soon! Lovely place to stay. There was only two of us so a brilliant space being two floors. Everything was perfect, the only thing was the hot tub smelt very musty! The water definitely needed a clean. Felt like it was end of season water. 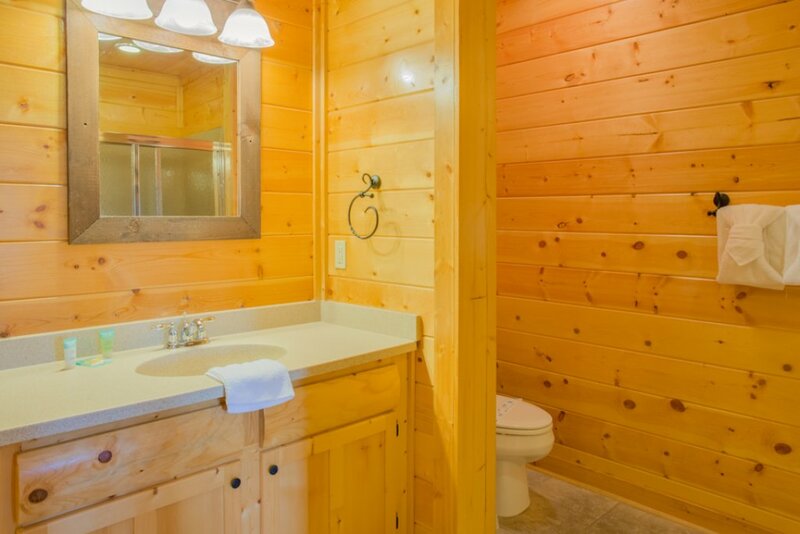 We will definitely stay at these cabins again. Thanks for your five-star review of Misty Blue! We appreciate the positive comments. The hot tub smell, which is bromine (we tested it and checked it out), was normal. 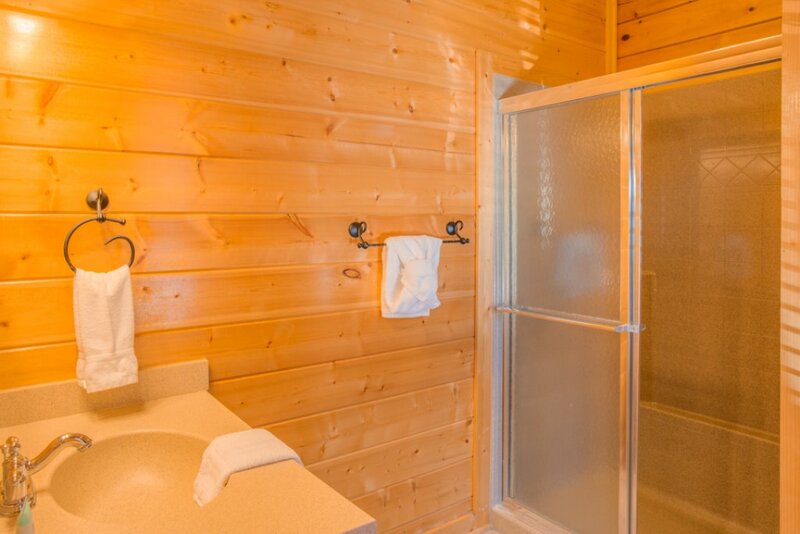 The records show we fully drained the water, sanitized the tub, refilled, and serviced the same day as your arrival. Come back soon! The view was absolutely stunning! It could do with an update of all of the televisions, as they were ancient and very poor quality. The upstairs toilet ran constantly and the place was dusty. (a lot of silk plants) The property was in a perfect location, away from the hustle and bustle of Pigeon Forge but close enough if you wanted to experience some things. We love this location and will come again, but maybe not Misty Blue, unless they update and maintain better. Thank you for your review, positive feedback, and constructive comments! We are currently working with the current owner to gain approval on replacing the TVs. The running toilet has been repaired and we appreciate you mentioning this. We look forward to hosting you again in the near future! Thank you for your review and mentioning that the property was awesome! If budget is your primary concern, please feel free to contact our reservationists next time and we will find a property that fits your budget. The cleaning price (not marked up), taxes, and rent are all clearly shown throughout the booking process. Thanks for staying with us and come back soon! 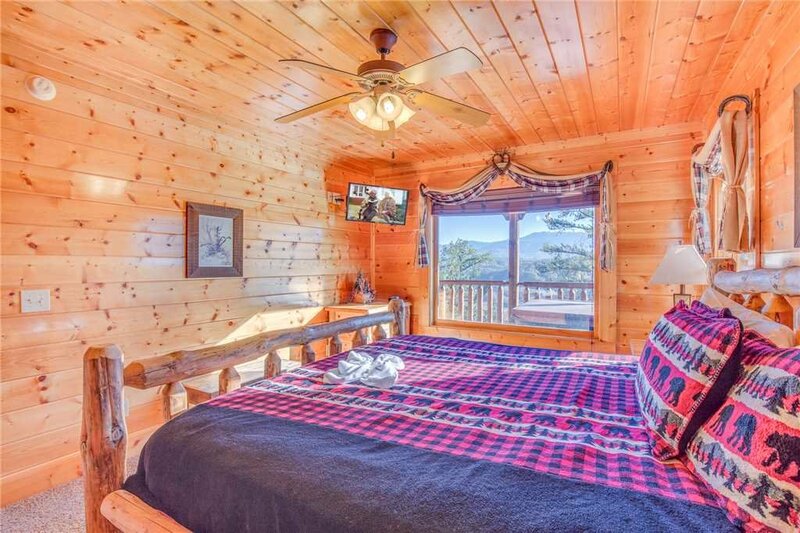 The cabin was extremely clean, well decorated, the master bedroom mattress was very comfortable and the cabin itself had spectacular views of the Smoky Mountain's. The hot tub and pool table were both an added bonus. 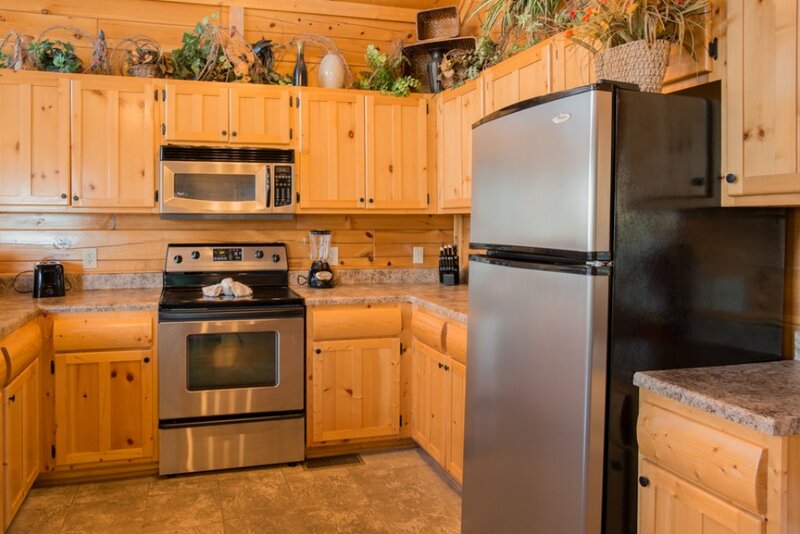 The cabins location was quiet and peaceful, with easy access to local activities. The only issue we had was with the main floor toilet, it kept running and would not flush. The Maintenance Man came to repair the toilet, but it continued to run. We had such a wonderful time. 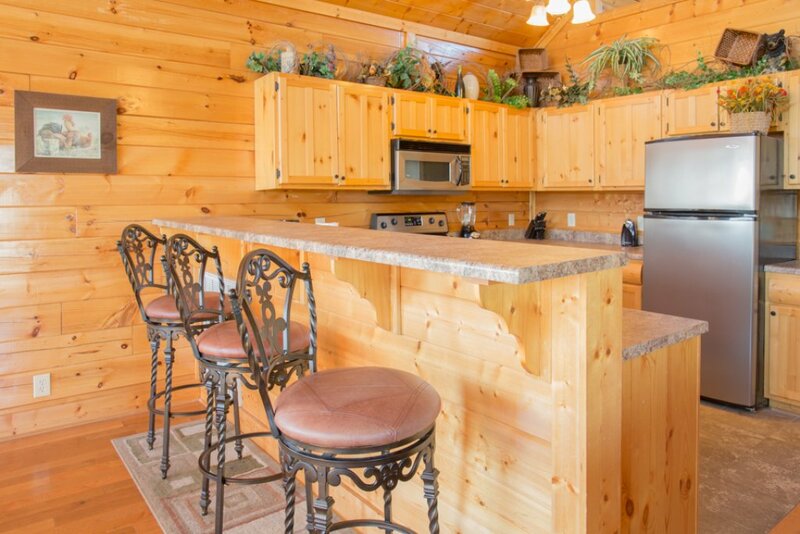 This cabin is beautiful, you really feel at home. Clean, with all the comforts and necessities needed. Breathtaking views! We can't wait to return! 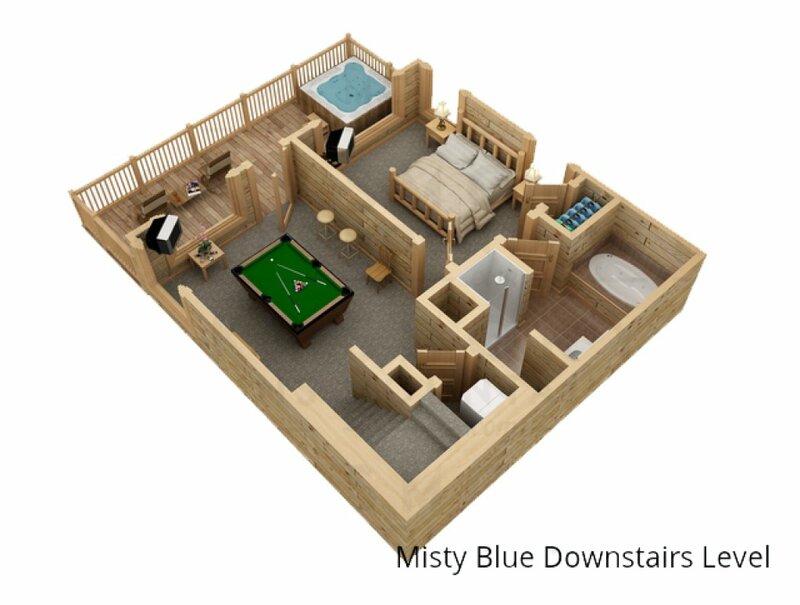 My wife and I spent our anniversary weekend at Misty Blue and it was so relaxing, so comfortable and has all the amenities we could have wanted. One thing that struck me was that everything in the cabin is in great condition - the cookware wasn't melted, the hot tub works great, and it was very clean. The best part is, of course, the view, which is spectacular and always present. We drove into the national park every day which was very close. Would absolutely recommend. I truly had an amazing experience. There are no words to express the beautiful view. Unfortunately, we only rented it for a few days and we wish that we could have stayed longer (next time). This was our first vacation in a cabin and it truly exceeded our expectations. There were just minor details that could be improved, such as removing some of the spider webs from the exterior and interior of the cabin.